The investment objective of the Fund is to generate income returns for investors by making loans to borrowers for the purchase or development of real estate in Australia, secured by first or second ranking mortgages over real property. The Fund will make Loans only to such borrowers and in such circumstances that meet the Investment Manager’s loan selection criteria as disclosed in this document. The Fund may make loans to third parties as well as to its related parties. 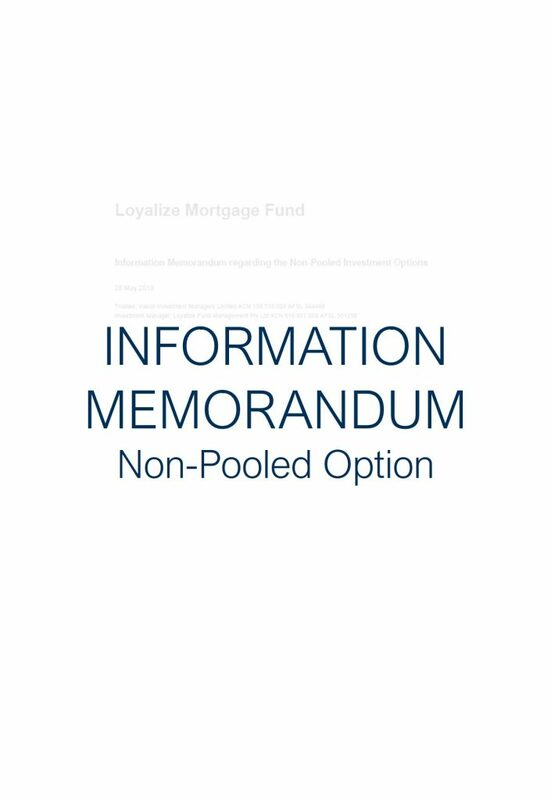 Loans to third parties and related parties will be made in accordance with the terms set out in the Supplementary Information Memorandum. 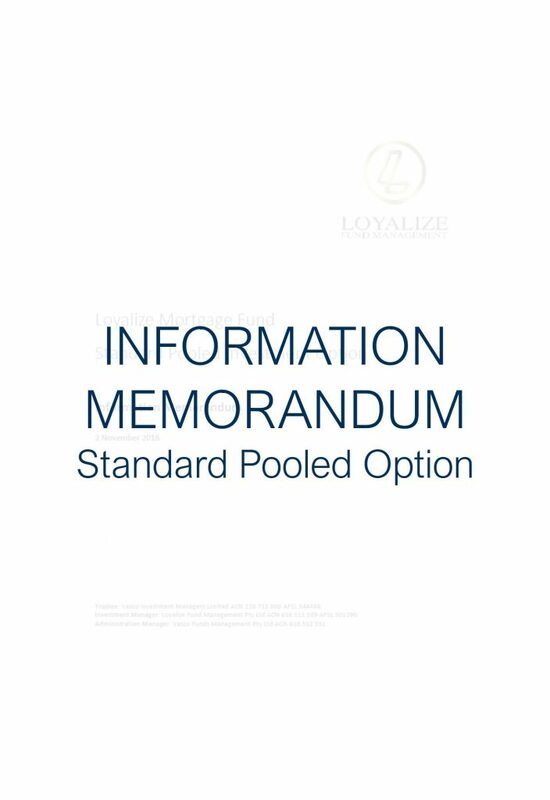 Details of each Investment Option which invest in a specific Loan are set out in a Supplementary Information Memorandum for that Investment Option.